With each war the State of Israel has to fight to defend herself, she is facing existential threats. It is sad and ironic that the horrific death of the three youths that brought about the disgusting murder of an Arab boy that started the barrage of rockets from Gaza has, in a way, saved the Jewish State, Israel, from a terrifying attack that was already in the planning stage. The dozens of sophisticated tunnels that had been dug from Gaza into Israel, ending at the doorsteps of Israel’s southern communities, were not just terror tunnels for the purpose of terrorism. Their main purpose was for invading Israel, murdering and kidnapping numerous Israeli civilians and thus putting Israel in a predicament she never before faced from her Arab enemies. In the course of events, three Israeli boys were murdered, an Arab boy was murdered in revenge and Hamas went ballistic. If did not happen, the attack would have happened at a time that would have suited Hamas. They would have sent thousands of soldiers, through the tunnels, to occupy cities and military posts unprepared for the sudden invasion. Thousands of Hamas terrorists, wearing IDF uniforms, would have managed to murder and kidnap citizens and soldiers. They would have been able to hold positions in Israel, while the IDF, as in the Yom Kippur War, would have been caught with its pants down, not prepared and organized to protect the nation from the surprise invasion. At the same time, Hamas could have also fired barrages of hundreds of rockets and missiles into the center of the country, in an attempt to paralyze Israel’s organizational ability to defend itself against the invasion. In such a case, in Israel there could have been tens of thousands of deaths, the complete breakdown of the national systems, the Home Front and the hinterland’s preparations. And if the Arabs of Judea and Samaria, and even some Israeli Arabs, would have joined in the fray, the chaos and death and clashes would have risen. We may ask ourselves, what was Hamas waiting for to invade? But this is irrelevant now because it did not happen. Eyal z”l, Naftali z”l and Gilad z”l, by their deaths started the process of waking Israel up to what she is really facing. Again, ironically, the murder of Mohammed Abu Khdeir, the 16-year-old Arab boy, made Hamas lose its cool and thus lose so many of its fighters, its arsenal and infrastructure and with that, Israel discovered what she was facing and managed to protect herself. So we need to say thank you to Danny Gold, who developed the Iron Dome; may he live a long, healthy and productive life. By the way Danny, you need to improve the Iron Dome performance so it is 100% accurate. We say thank you to all of the soldiers for their courage and bravery and to some for making the ultimate sacrifice when defending the Homeland. We all mourn you and will never forget you. 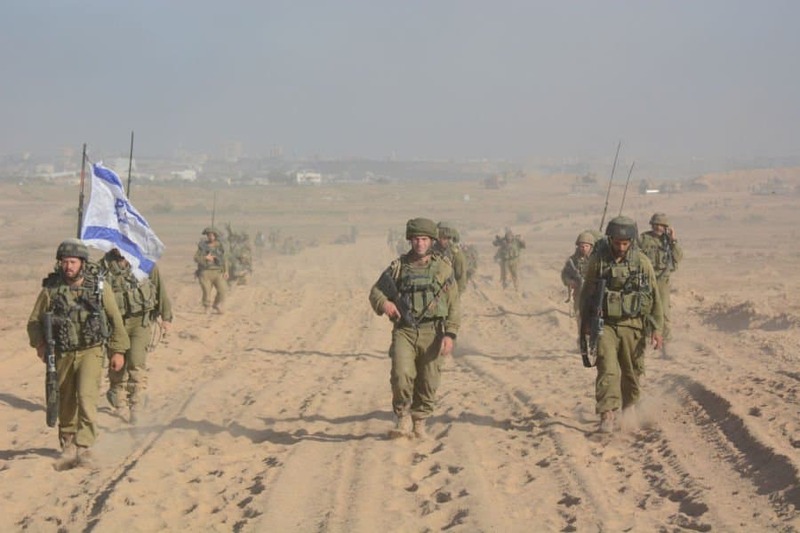 When the dust has settled, Israel must settle the score with Hamas, to the very last terrorist. Remember, all of the damage that Israel had suffered from this Protective Edge-Solid Rock War is truly nothing compared to what Hamas had in the planning. Thank you God for being Israel’s tailwind.